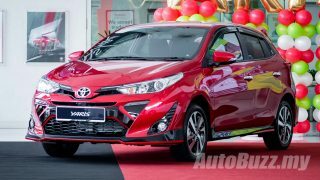 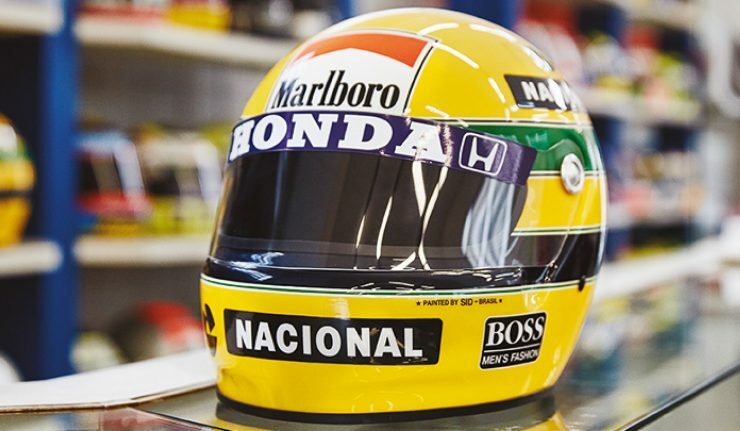 Mention the name Ayrton Senna and a few things would come to mind – triple Formula 1 World Champion, impeccable overtaking maneuvers in wet racing conditions and that yellow helmet with blue and green stripes. In his earlier karting days, Senna was seen wearing helmets with plain yellow, white or green backgrounds. 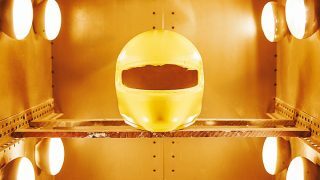 It wasn’t until the 1980 Karting World Championship, that the enduring helmet design made its debut with the then 20-year old Senna. 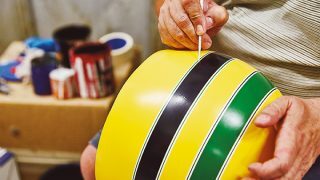 Senna would go on to adopt the colours inspired by the Brazilian flag until his demise in 1994 at the San Marino Grand Prix in Italy. 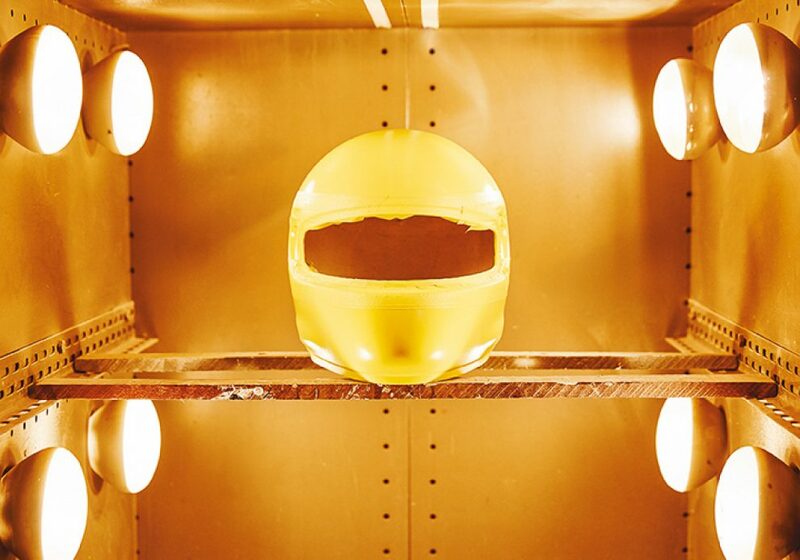 Despite the iconic colours, the helmet’s design and colours originated from a more humble figure. 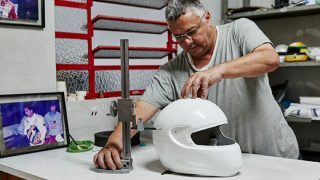 It was designed by Sid Mosca, owner of Sid Special Paint, which specialised in designing and painting racing helmets for the last 45 years for the likes of Emerson Fittipaldi and Nelson Piquet – whom were both Formula 1 Champions themselves. 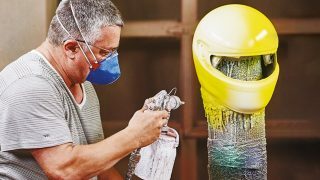 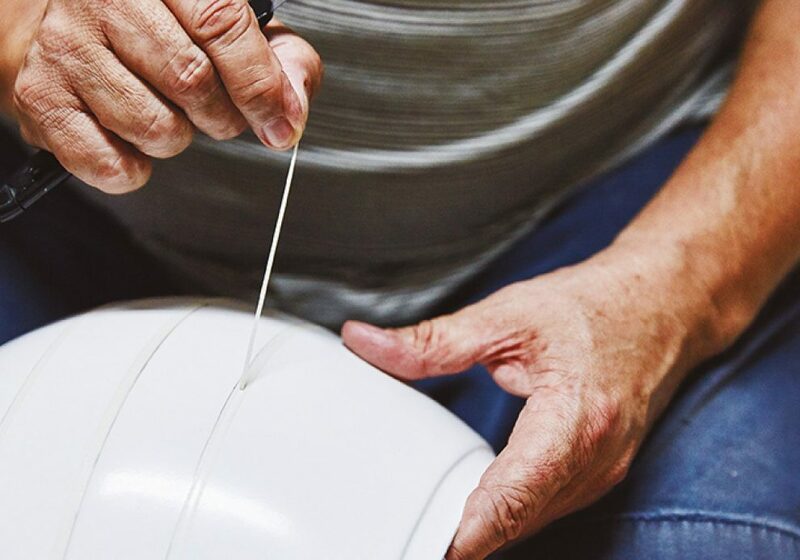 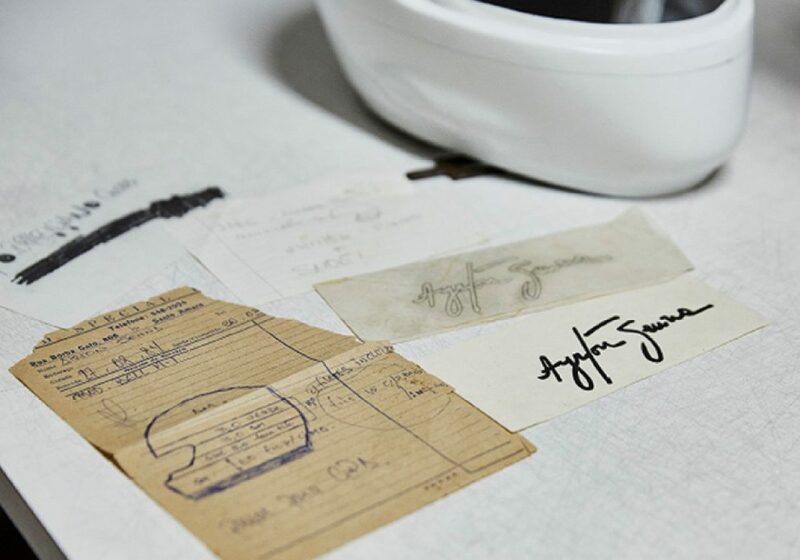 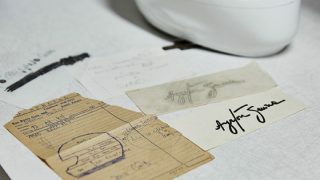 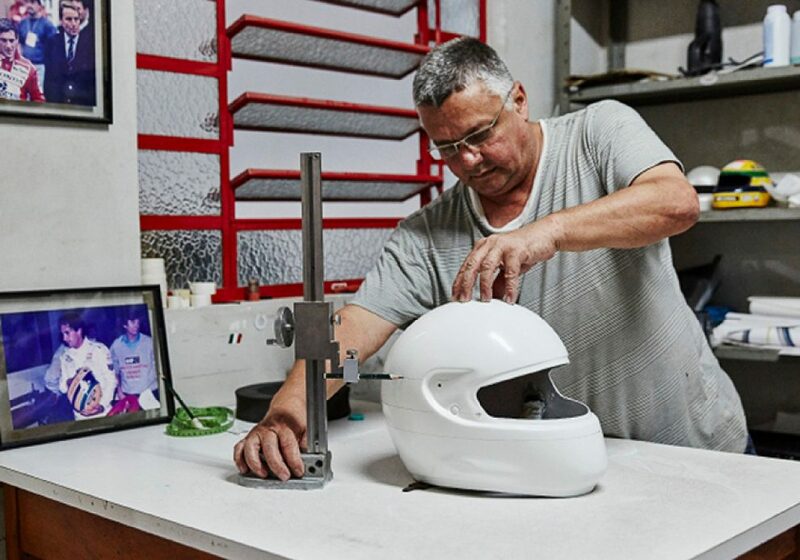 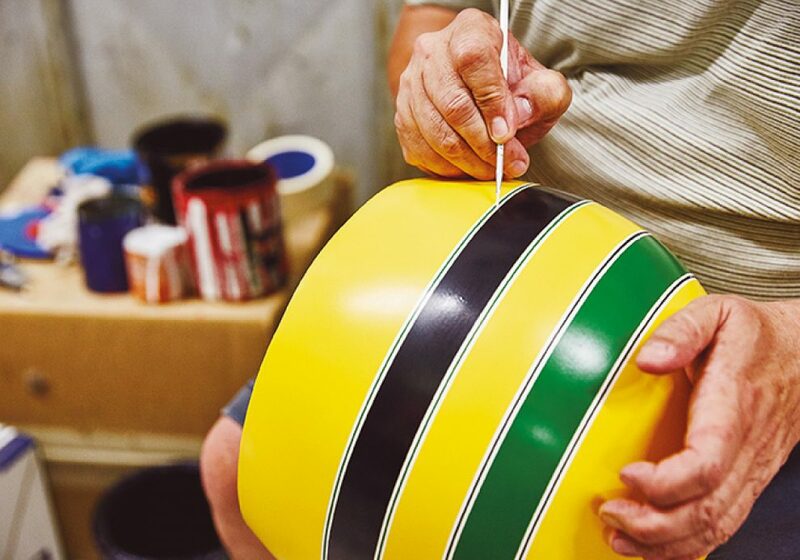 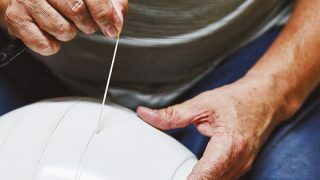 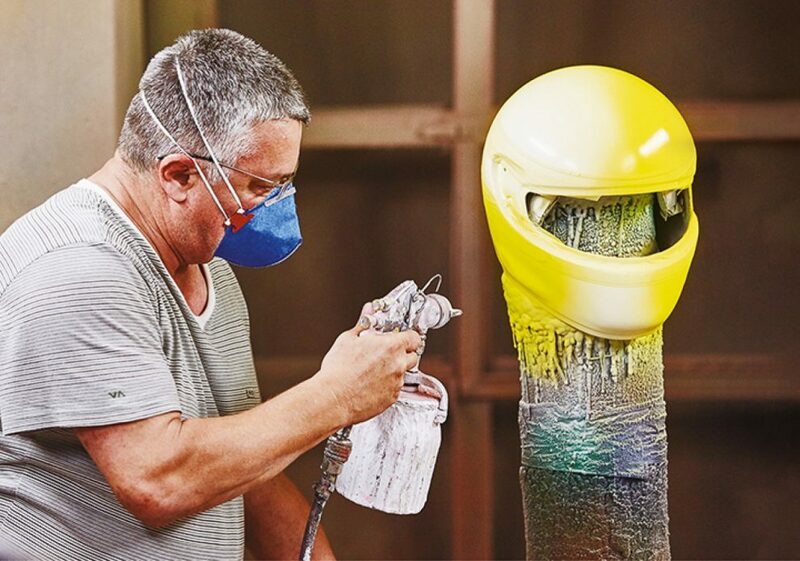 Today, the owner of the paint shop is Alan Sidney Mosca, son of Sid Mosca, who had developed a remarkable friendship with the legendary motorsport figure and still paints replica Senna helmets for Senna loyalists. 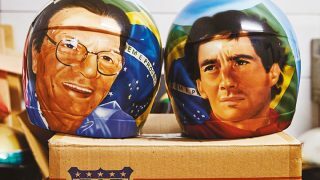 “When I first met Ayrton, I must have been 16 years old and he was about 14. 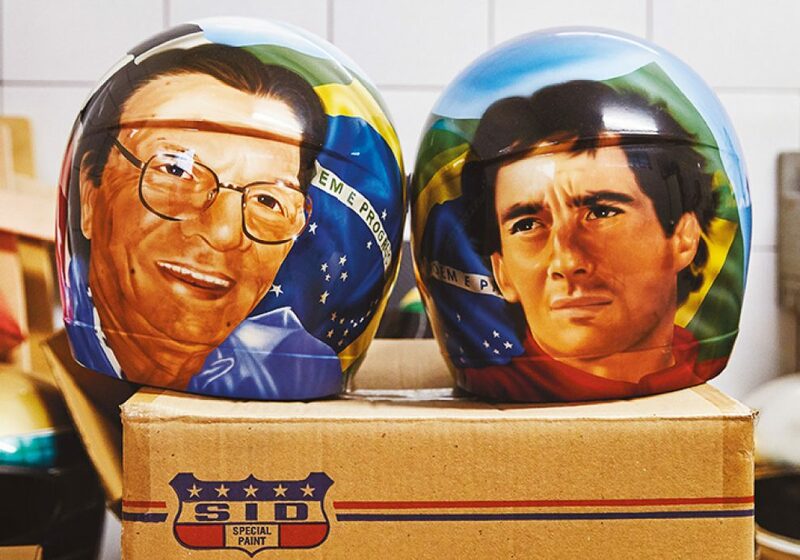 I’m very proud to continue painting his helmets, mostly for the Ayrton Senna Institute as it’s a way to contribute to Ayrton’s legacy and to keep his memories alive,” he said.